Cone shape for cleaning under the nail. 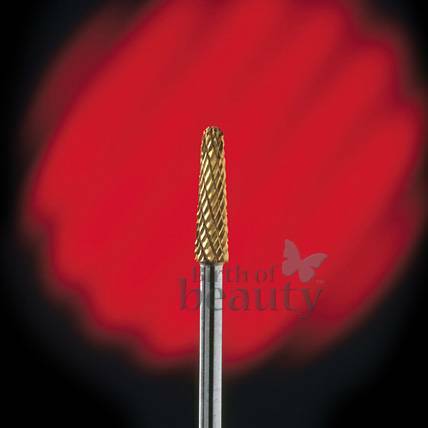 Cone shape for cleaning under the nail, filing and shaping aropunf the cuticle area. Use on acrylic, silk, fiberglass and gel. For use with Medicool's Pro Power 520, Turbo file II, Pro Power 30K, Nail Glide 2100, Pro Power 20K, PediNova III and also: KUPA, ASEPTICO, BRAVO, BUFFALO, NAIL LABO, LASCO, DREMEL, ERICA's. All bits have a 3/32" shaft.